I like to pay close attention to the words others use when they communicate. I am most in tune with prepositions and pronouns, and firmly believe we can tell a great deal about how a person sees himself and the world around him by counting the I/We, Us/Them, and For/With ratios. I also enjoy seeing how language becomes shared across a team over time. It’s no secret that people who spend a great deal of time together begin adopting each other’s word choice, and quite often mannerisms, dress, and interests. I believe it is extremely important for leaders to be in tune with and in many cases help to shape the behavior across a team; for it is the shared behavior of our teammates that ultimately shape the outcomes we generate. It is a proven fact that teams that use We, Us, and For in favor of the other word choices enjoy greater success, are more committed to the mission, and are more fulfilled by their individual and collective contributions. Though our choice in the prepositions and pronouns we use may change over time, it is impossible to communicate effectively without their use. That said, we see buzzwords and colloquialisms phase in and out of use as quickly as the latest fashion. Unfortunately, some of those sayings stick around far too long. In fact, many make their way into our dictionary and become a permanent part of our lexicon. Some might think about that and simply dismiss it as they say, “It is what it is.” And though I don’t really have a problem with our dictionaries formally documenting the evolution of our language, “It is what it is” is killing me! 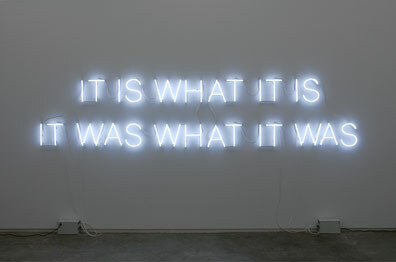 How often do you hear or say “It is what it is”? How would you assess the vocabulary you are hearing across your team? Does it communicate a shared commitment to each other, the mission, and the vision? How are you leveraging the power of language to shape behavior across your team? Catch myself saying this from time to time. Usually based on actually communicating it’s not worth the effort because of roadblocks from the frozen middle. I have made conscience effort to refrain from saying it because it is just an excuse.